Up until last week I’d been using an old set of JBL On-Tour speakers connected to an Apple Airport Express to play music from my laptop. This was a great setup, and had served me well enough for as long as I’ve had the Airport Express. The Airport Express is great, it allows you to stream music from your PC, iPhone or iPad to a hi-fi or (in my case) active speakers using Apple’s “Airplay”. The quality of sound from those tiny little JBL speakers was amazing for the size of them, but I’d been speaking about buying a hi-fi system for the past 5 years! I looked at various “everything in a box” hi-fi systems, but even the little micro systems looked like they would take up too much space – I wanted something that would fit right under my TV in the vacant space above where the DVD player lives. The only real option was to buy a separate hi-fi amplifier and some speakers, so that’s what I did. Being a keen photographer I’m used to gear snobs and various degrees of pretentiousness, but nothing could have prepared me for the haughtiness of the “audiophile” community. It’s crazy! I had a budget of around £150 for my amplifier. I soon learnt that some people will spend this amount of money on 10 feet of speaker cable! Thankfully I’m not as pernickety! After some research I decided on the Cambridge Audio Topaz AM10 Premium Integrated Amplifier. By focussing solely on the things that make music sound so good that it will make the hairs on the back of your neck stand up, and cutting extra cost and clutter, we aim to deliver the best-sounding system at this price you’ll ever hear. 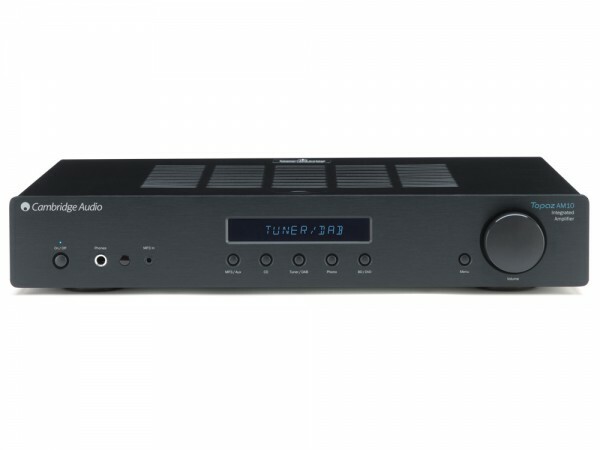 We believe, for instance, that multi-channel surround sound codecs and terminals in a hi-fi amp at this price adds complexity, introduces noise and reduces the budget for key components. That’s why the AM10 is a pure stereo amp. And that means better sounding music. For £169.95 and free postage it’s perfect! I’m sure many audiophiles could pick holes in the performance – but hey-ho. Owning two pairs of Bowers & Wilkins headphones, I’m well aware of the difference a good set of “electroacoustic transducers” can make to the sound of your music. Unfortunately I couldn’t afford a £500 pair of B&W CM1 stereo speakers – my budget was more like £100! Even if I could afford them, £500 seems well over the top! The soundstage is bigger than that from others in the same class, and they manage to translate the combination of space and intimacy of the live venue better than any other. I’ll settle for that sort of performance for around £100 any day! 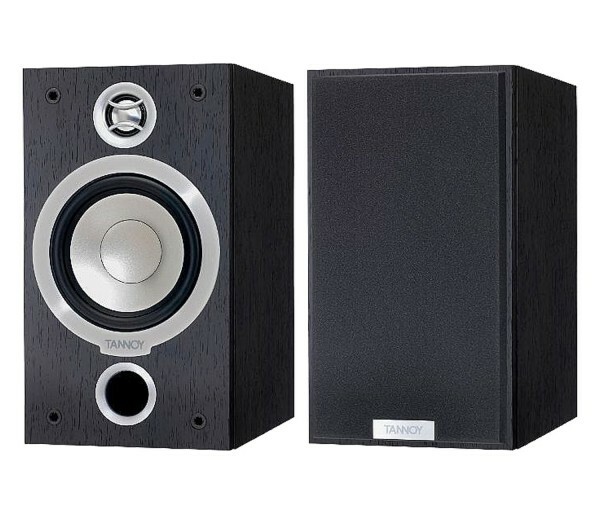 I ordered a pair from an Amazon Marketplace seller, only to be upgraded free of charge to a pair of Tannoy Mercury V1is due to the V1s being out of stock! What fantastic service from Best AV Centre! For £119.00 these speakers complement my Topaz AM10 amp perfectly, and they look fantastic, too! I have them sitting on an old pair of stands I had in storage at my Mum’s, I doubt I’ll upgrade any time soon. Cables are a subject of much debate. Whether they make a noticeable difference to the quality of the sound is something I don’t know about. I am using 4 meters of QED Silver Anniversary-XT. QED Profile Audio Phono Interconnect – this connects my DVD player to the amplifier. I also use the DVD player to play CDs. 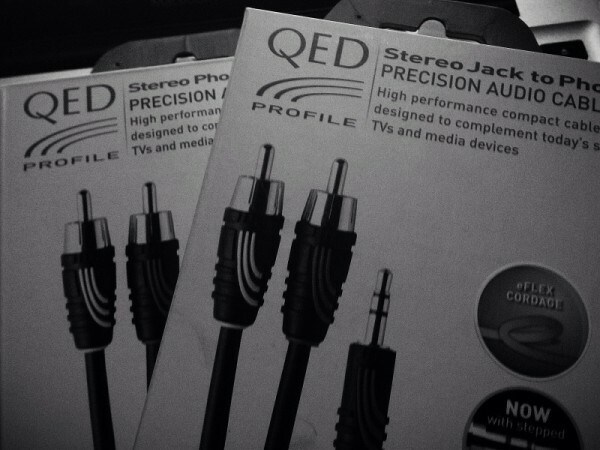 QED Profile J2P Minijack to Phono Interconnect – this connects my Airport Express/or USB DAC to the amplifier. I also plug it into the TV. To make amplifier/speaker connection easier I bought some Fisual Easy Fix Banana Plugs to terminate the speaker cables. Cheap and had very good reviews. I already had a 2 meter Fisual S-Flex Mini 3.5mm to 3.5mm cable. I use that for connecting my laptop to the amplifier via the Cambridge Audio DacMagic XS I got from my Mum at Christmas. 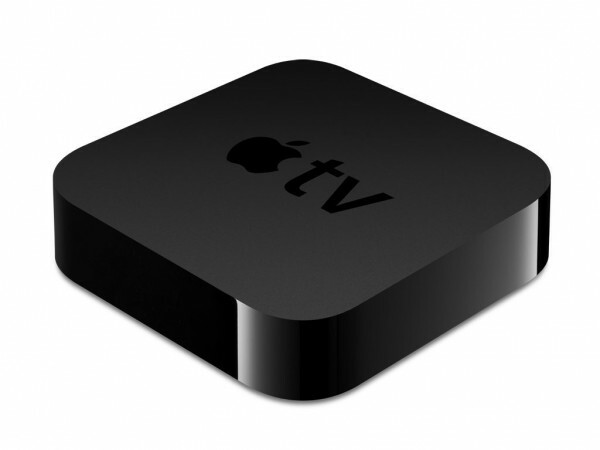 Another essential (as far as I’m concerned) part of my home entertainment system is my Apple TV. The problem here is that the Apple TV requires an optical TOSLINK connection to the amplifier, and my Cambridge Audio Topaz AM10 amplifier doesn’t have a TOSLINK input. The only downside to the DAC I bought was that it requires power, not a biggie, but still another socket required on top of everything else. Spotify – I have an Unlimited subscription. I did have Spotify Premium, but decided to ditch it as I couldn’t justify the £9.99 per month. Airfoil – This is a great little application if you want to stream music to an Airport Express or Apple TV without using iTunes. Available in both Mac and PC flavours. CoverSutra – Unfortunately no longer being developed. I use it for updating my Last.fm feed.